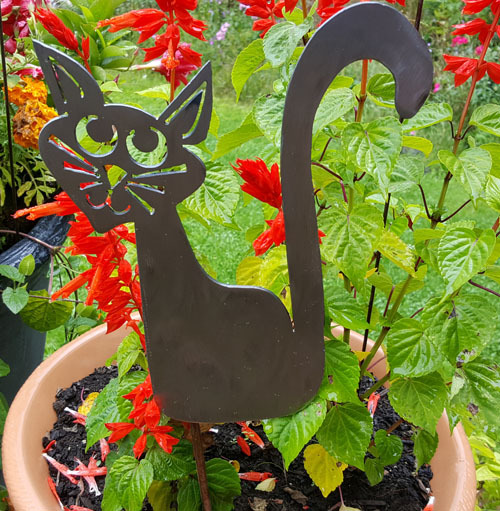 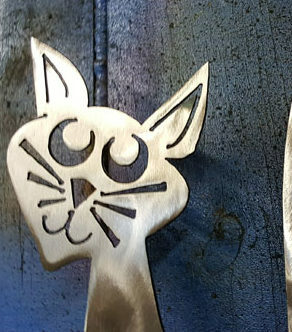 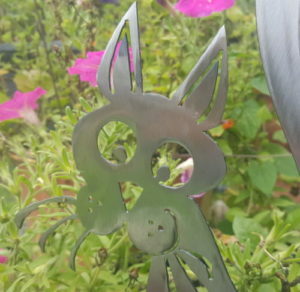 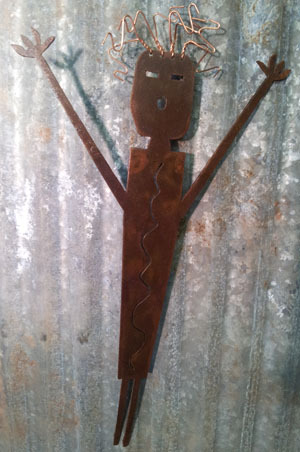 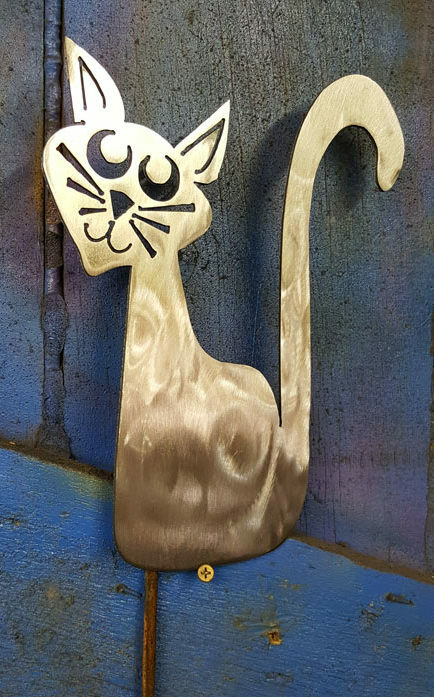 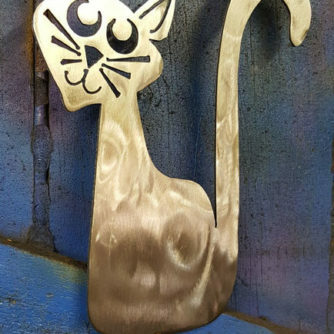 Wide Eyed Penny Kitty plasma cut out of steel 16 gauge , welded to a 1/4″ stick, Buffed, then coated with Lacquer. 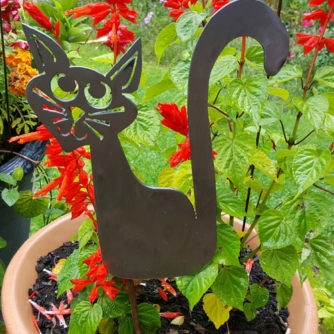 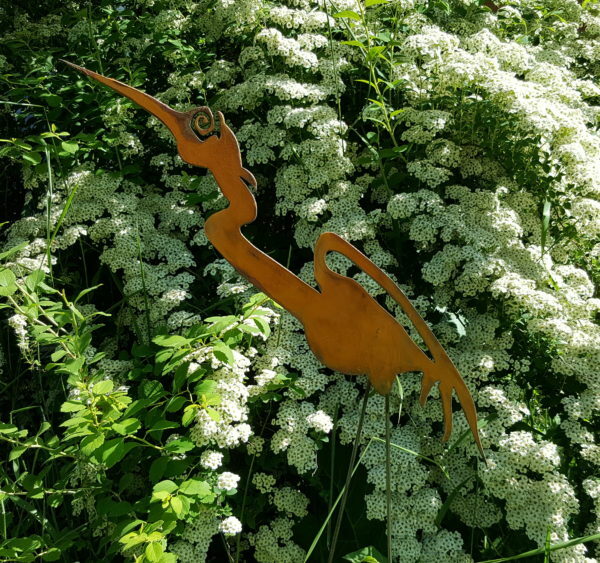 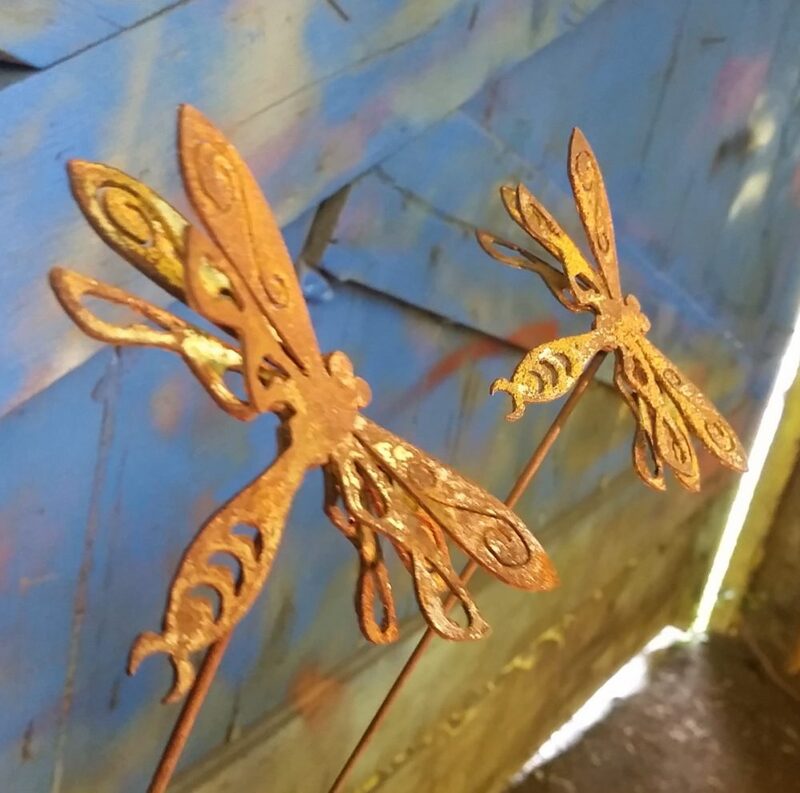 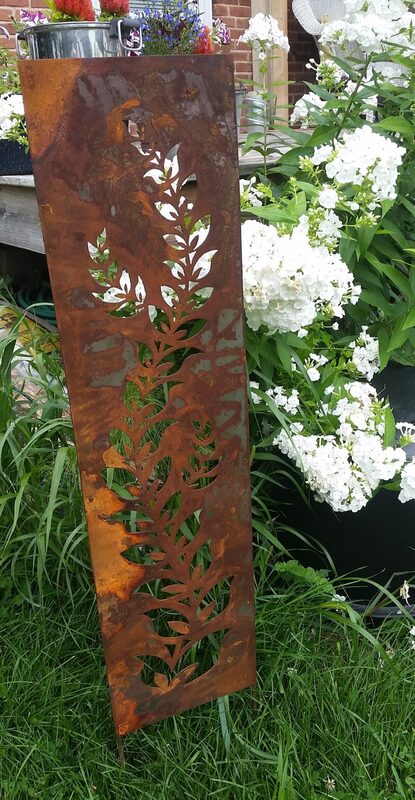 She will look great in a garden, peeking out from the flowers or in a pot. 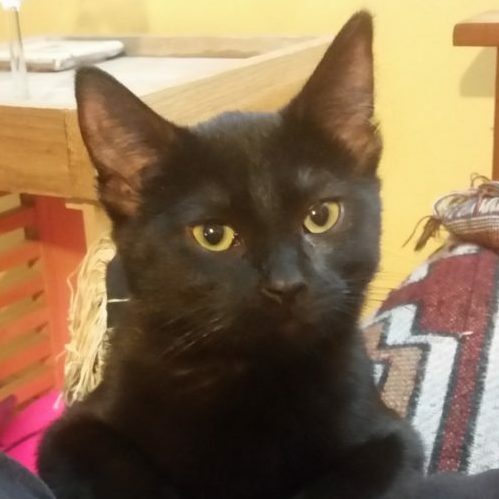 Either way, she will make a great addition to YOUR family.